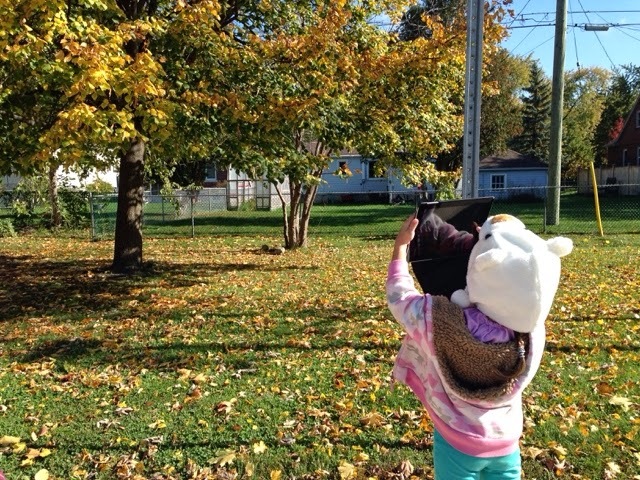 Joyful Learning in the Early Years: Why Blog? As the school year comes to a close we have been reflecting upon our year; something we always review is our effectiveness in communicating with families. Have we honoured children's learning in the classroom and made visible the rich space of possibilities so that families are informed of their children's journeys and feel connected to our classroom? Have children been included in this process as an integral source of information and inspiration? 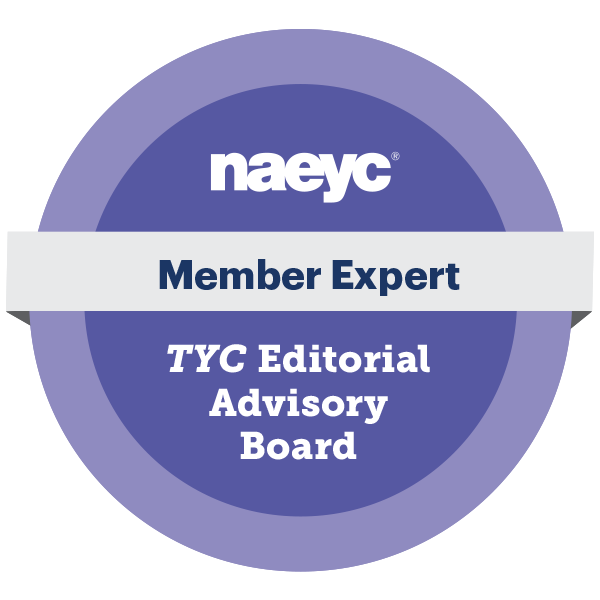 We feel that one of the many ways we have been able to do this, and expand our professional learning network (PLN) is through our blog. 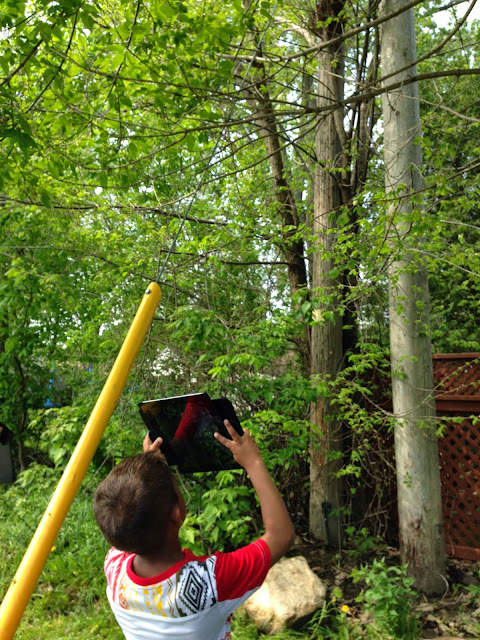 We think all educators should consider how a blog might help them advocate for playful learning in the early years and better connect with their school community and beyond. Perhaps this blog entry will be the catalyst for some educators to create their own blogs for use in their classrooms next September. Feel free to share the address of your school blog in the comments below! Blogging is an effective communication tool. Blogging is a very effective way to to share the innovative and exciting activities happening in one’s classroom with a larger audience. Multiple forms of information can be shared on a blog - photos, videos, hyperlinks, iMovies, padlets - helping to embed technology into instructional practices and documentation. Blogging helps demystify what happens in a process-driven, inquiry-based classroom and builds support for why this type of practice is both meaningful and developmentally appropriate practice for children. With few ‘receipts’ of learning like paper and pencil products being sent home from school, families are often left to wonder what their child accomplished all day. The all too common shrugging of shoulders is still a common response to the age old question of ‘what did you do at school?’. 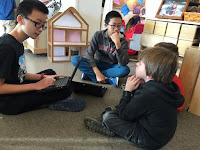 Blogging can be a great way to share the learning happening through play and inquiry in one’s classroom and encourage parent-child conversations about school as families visit the site together. This helps children reflect back on past events and use the information as inspiration in order to plan for future classroom work. Blogging also serves as an effective way for families to give immediate feedback on classroom events and activities. Enabling the comment feature allows readers to publish public comments on each blog post. Moderating these can ensure that content is appropriate and confidentiality of children (names, locations) is maintained. Blogs can serve to motivate families and extend ideas and activities that have happened in the classroom at home. In order to encourage responses to posts and facilitate a ‘conversation’ between the blog and readers, invitations to reply in a particular way can be included as part of the post. For example, after hanging a birdfeeder outside of the classroom window and posting photos of the birds that have visited, readers can be asked to contribute photos of birds that have visited their backyards by including these in the comments section to the corresponding post. This way the audience is helping to co-construct the content of the blog. Families may be more inspired to engage in home activities that support school activities and curriculum if they have a public forum to share their ideas and relate these back to their children’s education. Just as educators may be more motivated to raise their level of programming knowing that they have an audience, so too will the readers of the blog as they work to create a communal representation of the ideas and understandings contained in the posts. Communication also occurs between divisional teachers who share ideas and strategies for implementing curriculum. As they visit one another’s blogs, teachers will become inspired by their colleagues and this may act as a catalyst for professional conversation and feedback on activities. Blogging integrates technology into regular practice. 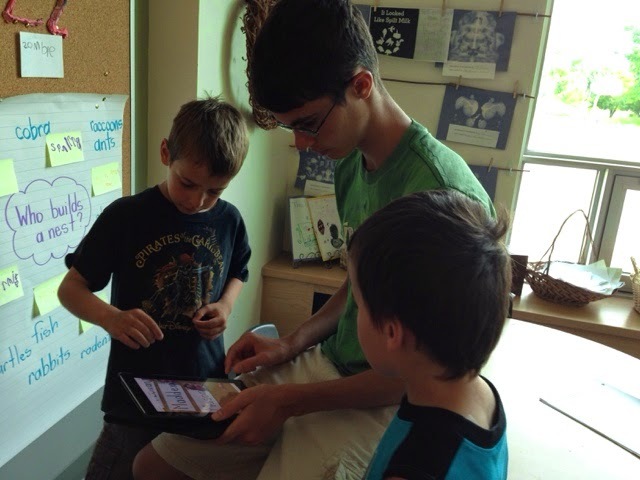 Children can help blog, integrating technology into everyday moments in the classroom. Many blogging websites have apps for smart devices so children can blog in real time with an adult during an activity. Sharing time can include a review of photos inserted into a blank blog post and children can help co-construct the narrative in a shared writing experience. This also serves as an opportunity for a rich discussion about internet safety and critical consumption of online information directly in the instructional moment. It is a cost effective and environmentally friendly way to share a lot of information with a wide audience with little to no paper products. Occasionally we will sent out a reminder slip with the blog address and description to families in order to advertise our site and remind them to visit. Blogging also encourages teachers to become more tech savvy as they learn to manipulate new and exciting forms of technology and mash these together with their blog. Blogging can be a form of assessment. Online entries can be reviewed and information used to guide assessment and evaluation for children. Online entries can be printed and personal observations regarding children can be directly written onto pages. These can then be used in a child’s portfolios. Blog entries can be added to learning centres in the classroom as part of the documentation available. Using a QR code tagged with the web address of all entries related to that particular centre (e.g., all entried tagged drama are then shared in the dramatic arts centre using a QR code) helps bring digital documentation into the classroom and shares the stories of the rich learning that has happened throughout the year at the centre. Children who are on extended trips away from school or absent can see what was missed and families might be inspired to create similar learning experiences at home. It’s almost impossible to make up a missed day of interactive play at school - there are no take home activities that can replicate the richness of learning together with friends - but the entries help families see exactly what their child missed while absent. Blogging helps educators connect with one another as interesting ideas are shared online and a spirit of learning encourages risk-taking in one’s classroom. Many teachers like to visit one another’s blogs, so your audience may eventually expand beyond the families of your students. It also inspires you to become better, knowing you are opening up your classroom to a global audience. Blogging gives teachers an empowered voice as they strive to change the world of education and way kindergarten is viewed by outsiders. Many teachers still struggle with didactic pressures from colleagues and administrators who are unaware of best practices in kindergarten. 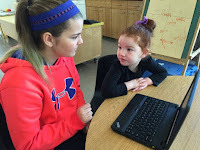 Authoring a blog means that one has regular opportunities to share the rich, integrated, developmentally appropriate learning taking place each day in the classroom. Blogging inspires kids. From experience I know that children in the classroom are more motivated to participate in an activity if they know I’m going to be blogging about it. They want to see themselves in a public forum and enjoy having an audience. Blogging also inspires families. 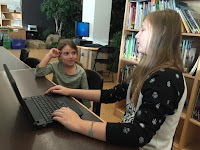 Over the years I’ve heard from many families who have begun to visit our class blog as soon as they register their child for school in the winter for the following fall. Many learn what the expectations and activities are for kindergarten and begin to prepare their children for this adventure by engaging in some of the activities at home. Younger siblings benefit as they also get a chance to experience activities, helping ready them for school at an even younger age than their older siblings. Families who are undecided about which school to attend might be swayed by the detailed programming information being shared on a blog. Teachers are inspired to find new and exciting ways to share content from their classroom and this will help differentiate classroom practices (e.g., videos, word clouds, voice recordings, narratives, photos, artwork). 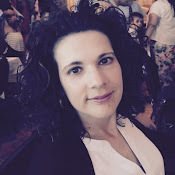 As a blogger I am always interested in new and exciting ways to enrich my content, build readership, and help portray the exciting things happening in the classroom in tangible ways to others. Blogging is reflective - a teacher must consider the important elements of an experience when crafting the descriptive narrative that accompanies photos in a blog entry, helping to reflect upon the experience and think about how to extend the learning moving forward. I believe that blogging will ultimately help raise the stakes in the classroom as teachers try to outdo their own last best post and keep the energy going in the classroom. An amazing entry for me only further motivates me to try and outperform in order to have even more exciting and informative entry for families to enjoy. As blogs are archived teachers can travel backwards in time and review posts from months and even years ago, celebrating their growth and journey as educators. It’s a record of what was done in the classroom and a predictor of future successes. 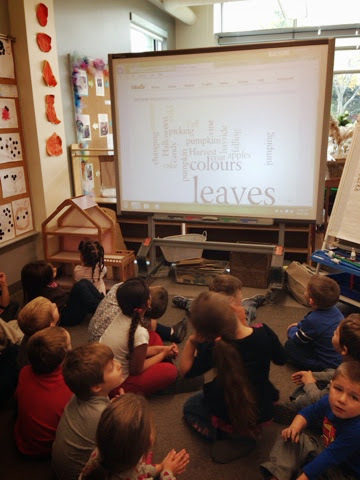 It’s a way of honouring the children and stories of the classroom long after they have moved upwards into a new grade. Your blog is who you are as an educator. It will make you marketable as an educator and help advertise you to potential administrators when looking for new opportunities (e.g., new school, assignments, leadership opportunities). We all want to have rich, detailed digital online footprints that showcase who we are as educators and show what we are capable of in the classroom and school. I am an early childhood teaher from South Louisiana,USA. I work at an all Native American school. August will begin my 22nd year of teaching Pre-K. I would love to skype, penpal, email, etc to extend my students learning to other areas beyond our community. If this is something that you would consider please contact me at christig@chitimacha.gov thank you and I really enjoy your blog posts.